Tumours treated prior to surgery may show marked macroscopic and histologic alterations compared to conventional colorectal tumours. The macroscopic characteristics of the lesions are quite different from the "original" ones; sometimes lesions disappear and in most cases they leave a white area that resembles a scar. 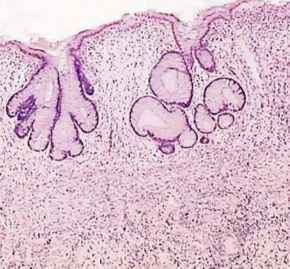 When there is no macroscopic evidence of the lesion or when there is a scar-like lesion, the entire area should be submitted for histologic evaluation. Cases following radiotherapy may have very few lymph nodes. In these cases, the pN can still be assessed and nonetheless appears to have a prognostic significance despite the small number of lymph nodes. From a histologic standpoint, it is important to evaluate the presence of residual disease in addition to the effects of therapy and the entity of the residual tumour [84, 85] (Table 5). The report should state all prognostic parameters used for conventional carcinoma including the distance of residual lesion from the circumferential (radial) margin. Pathologic stage remains one of the most important prognostic factors following neoadjuvant therapy. Patients with disease downstaging have significantly better survival [86-88]. Microscopic examination can reveal a complete response to therapy with no residual disease. 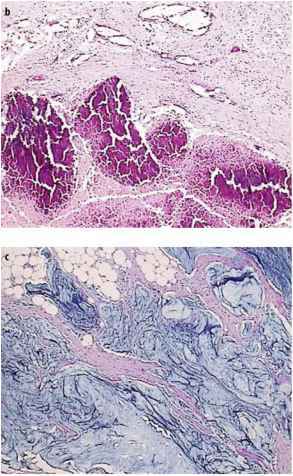 These cases generally show marked submucosal fibrosis sometimes involving the muscularis propria with thickening and doubling of muscularis mucosae; areas of necrosis may be seen with no residual tumour. In some cases the tumour can disappear, leaving the adenomatous component at the edge of an ulcer (this "resistance" might be explained by a lower cellular turnover). 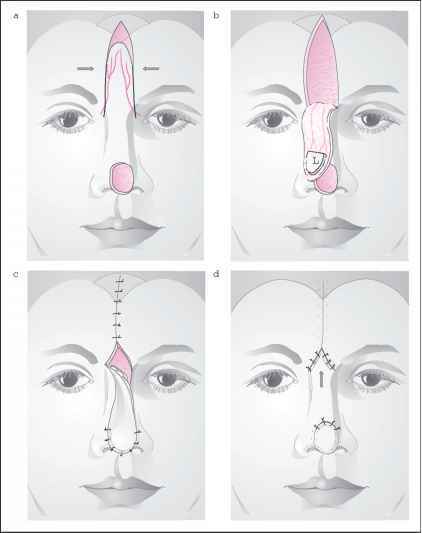 Even if there is an adeno-matous component, response to therapy can be considered complete. On occasion, pools of mucin with no tumour cells located within the rectal wall or in the lymph nodes can be observed (Fig. 9). The significance of this finding is not yet understood, even though it should be stated in the pathology report. Residual carcinoma can range from a few poorly differentiated, pleomorphic tumour cells (partial response) to extensive areas of tumour infiltration through the wall or the perirectal tissues, very similar to non-treated lesions (poor or absent response) (Fig. 10). A 1 to 5 grading system has been proposed  to evaluate tumour regression. This system is based on residual disease and fibrosis, as proposed by Man-dard et al. for tumours of the oesophagus treated by neoadjuvant radio- and chemotherapy . Disease downstaging is related to a much better prognosis for disease-free patients; the presence of a stromal response in terms of fibrosis with scant inflammatory infiltrate and the absence of ulceration are related to a reduced disease-free survival .